MindBody Therapy is a successful complementary health and well being company. 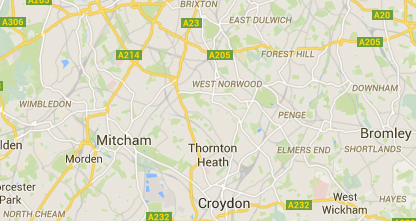 The main centre is based in 120 Stanstead Road, Forest Hill, London SE23 1BX, however we provide our services in and around London and the South East. We use an holistic approach, using various combinations of therapies in order to promote your physical, spiritual, emotional and mental health and well being and have been doing so for many years. This is what we call MindBody Therapy; helping you to relax, heal and live life to your fullest. We believe our centre is a safe haven, away from the hustle & bustle of the outside world. You can come in to wind down and chill out in our comfortable environment, where as soon as you walk in, the aroma and environment welcomes you, as our therapists invite you to de-stress, relax, find peace, healing and pain release using a variety of therapies for the mind, body, soul and spirit. We are here to meet your individual therapy needs and give you the treatment you need. We’ve also extended our range of well being products in the shop, to include items such as incense; essential oils; apple cider vinegar; herbal teas; epsom salts; himalayan salts; chakra stones; sage; burners; salt lamps; crystals, plus more, so pop in and have a browse. Can be energising and/or totally relaxing or both! So if you are looking for a deep tissue massage or a strong massage you can feel in Forest Hill, plus more – come and see us. We appreciate any constructive feedback / comments which you believe will enhance the service for all. We have many therapists offering different services but also each massage therapist, for example, has a different depth control for deep tissue massage, so if you are not happy with the ‘strength’ of massage, please let us know and we can recommend the right therapist for you. Call us or send us an email. Thank you. 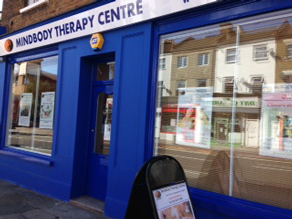 The MindBody Therapy Centre location, Forest Hill SE23, is accessible from many of the surrounding areas, such as; Honor Oak Park, Sydenham, Anerley, Penge, Crystal Palace, Thornton Heath, Dulwich, Peckham, Ladywell, Crofton Park, Brockley, Bellingham, Catford, Bromley and Beckenham.